When it comes to attractions, Indonesia is as varied as its 17,000 islands, and visitors will be swamped with an endless list of things to see and do. There are cultural, historical, religious and natural attractions aplenty, and as such it may be wise to select one or two islands to explore in order to avoid suffering from a sightseeing overload. 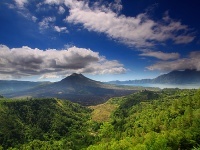 A popular place to tackle first is Java, a touristic favourite not least because of the incredible volcanic scenery in its Bromo-Tengger-Semeru National Park. 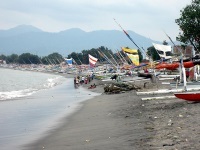 The island is also home to the grungy metropolis of Jakarta and the historic Yogyakarta. 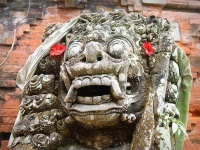 On Java, travellers can find anything from glitzy nightclubs to ancient ruins to traditional puppet theatre. If the laid-back aesthetic of "Eat Pray Love" is what you are after, head straight to Bali. This hugely popular island has been luring in visitors for years thanks to its white sandy beaches, endless surfing spots and inland cultural attractions. For a wider range of natural attractions, one can get lost on the mammoth island of Sumatra, which offers visitors traditional towns, such as Bukit Lawang and Bukittinggi, and stunning landscapes. Bigger yet is Borneo, which shares its jungle treks with visitors and native orangutans alike and is a delight to explore. A lumbering ferry line connects all the main islands and attractions and is an adventure itself. The best time is visit is between May and September, during the dry season, which also makes transport easier.